Hungary celebrates Day of Patriots and Military on May 21 every year. This is not a public holiday, but it's an official memorial day. Day of Patriots and Military is observed on the anniversary of the end of the siege of Buda, which lasted from 4 to 21 May 1849. The siege of Buda took place as a part of the Spring Campaign during the Hungarian revolution of 1848-1849. The battle ended with the victory of the Hungarian troops. The government of Hungary established Day of Patriots and Military in 1992. The holiday is considered as a professional holiday of the Hungarian Defense Force, since the army was formed from the self-defense groups fighting against the Austrian army. 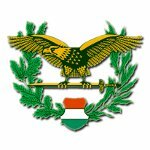 The Hungarian Defense Force has two branches: the Hungarian Ground Force and the Hungarian Air Force. Compulsory conscription was abolished in 2004, thus marking the transition to the professional army. President of Hungary is the Commander-in-Chief, while the Ministry of Defense maintains the political and civil control over the army.